Eleanor Wachtel, "Danzy Senna's darkly comic take on racial identity," Writers & Company with Eleanor Wachtel, CBC Radio, June 15, 2018. https://www.cbc.ca/radio/writersandcompany/danzy-senna-s-darkly-comic-take-on-racial-identity-1.4707804. A complete collection—over 300 poems—from one of this country’s most influential poets. Like no other text, this best-selling anthology effectively introduces students to the complexity of race, class, gender, and sexuality in the United States and illustrates how these categories operate and interact in society. The combination of thoughtfully selected readings, deftly written introductions, and careful organization make Race, Class, and Gender in the United States, Ninth Edition, the most engaging and balanced presentation of these issues available today. In addition to including scholarly selections from authors like Beverly Tatum, Barbara Ehrenreich, Annette Lareau, and Jonathan Kozol, Rothenberg includes historical documents like the Three-Fifths Compromise, firsthand narrative accounts of how these issues have affected the lives of individuals, and popular press pieces reporting on discrimination in everyday life. This edition includes 28 new selections considering such relevant topics as the citizenship and immigration, transgender identity, the 2010 census, multiracial identity, the 99% and the occupy movement, the tragic story of Rutgers student Tyler Clementi, South Asian Identity post 9/11, multiracial identity, disability, sexual harassment in the teenage years, and much more. 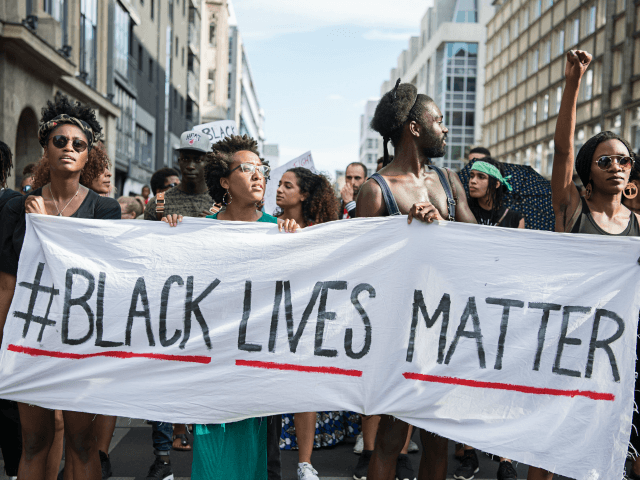 I received more than a few raised eyebrows after describing the recent trip my wife and I took to attend the Black German Cultural Society of New Jersey’s Second Annual Convention at Barnard College in New York. If you are tempted to believe that being both Black and German is an oxymoron; think again. African and German interactions go back as far as at least 1600. A fact that is unknown to most, Germany played a significant role during the American Civil Rights Movement as described in Maria Höhn and Martin Klimke’s book Breath of Freedom: The Civil Rights Struggle, African American GIs, and Germany. Although Black Germans, or rather Afro-Germans, consist of less than 1% of the German population (exact numbers are difficult to determine because German demographics do not track race), they are a growing and vocal segment within Germany and beyond. I had the opportunity to experience a bit of this Afro-German experience at the screening of Mo Asumang’s autobiographical film Roots Germania at the BGCSNJ inaugural convention last year here in Washington, D.C. What I saw made me want to learn more. This year’s convention ran from August 10 to August 11, 2012 in Barnard’s Diana Center with the exception of the spoken word performances held at the Geothe-Institut’s Wyoming Building in lower Manhattan. I attended most of the sessions which consisted of five panels; a keynote address by Yara Colette Lemke Muniz de Faria; live readings by authors Olumide Popoola and Philipp Kabo Köpsell; a movie screening of the films “Hope in My Heart: The May Ayim Story” and “Audre Lorde—The Berlin Years 1984-1992;” a dinner banquet; and finally a live performance by author, artist, media personality, musician, playwright, actress, scholar and human rights activist Noah Sow’s band, Noiseaux at the Blue Note. It is very important to note that the term “Afro-German” is a socio-political term that includes all Germans (or German identified) individuals of African descent. Although most Afro-Germans are what we in the United States might refer to as, “of mixed-parentage” (usually a “white” mother and “black” father), no distinction is made within the Afro-German diaspora between individuals of so-called “mixed” and “non-mixed” parentage. I heard the term “biracial/multiracial” no more than five times during the entire conference. I theorize that this social taxonomy is derived from the desire not to fragment an already tiny group within German society and also create internalized marginalization within an already marginalized group. A further defining of this group identity was made by Noah Sow, near the end of the first panel, “Teaching the Black German Experience,” when she emphasized that the most appropriate terminology, should be the German term, Afrodeutsche, rather than Afro- or Black- German. During her introduction of the keynote speaker, BGCSNJ president Rosemarie Peña obliged, by referring to herself as Afrodeutsche. Time will tell if this label will stick. The highlight of the conference was Yara Colette Lemke Muniz de Faria’s keynote address, “In their Best Interest… Afro-German Children in Postwar German Children’s Homes” which explored the plight of so-called “War/Brown/Occupation Babies”—the children born of the union between white German women and Black American GIs after World War II. She described the systematic removal of Afro-German children from their birth families into substandard orphanages or foster homes, where many faced emotional and physical abuse. Her keynote touched on the story of Ika Hügel-Marshall, who describes her saga in her autobiography, Invisible Woman: Growing Up Black in Germany. Also of note were the two touching presentations by Vera Ingrid Grant, “Ruby Road: An Excerpt from Paper Girl,” and Debra Abell, “Sauerkraut and Black-Eyed Peas” within the panel “Telling Our Stories – Black German Life Writing” which both explored the life experiences of growing up in the United States as children of a white German mother and black American soldier. Lastly, Jamele Watkins’s, “Performing Bruce Norris’ Clybourne Park in Germany” within the panel “ Historical and Popular Cultures of Blacks in Germany” explored the representation of blacks within theatrical presentations in Germany and discussed the controversial continued use of blackface by white German actors to represent black people. One slight disappointment was the poor sound, poor ventilation, poor visibility and poor lighting of the Goethe Institut’s Wyoming Building that was used as a venue for the artist performances (who traveled all the way from Europe). Were they trying to recreate a German U-boat aesthetic? Barnard’s Diana Center Event Oval on Lower Level 1—which was used for all of the panels—would have sufficed nicely. If a smaller venue was needed, the Glicker-Milstein Black Box Theatre on Lower Level 2 would have fit the bill also. I looked forward to what appeared to be an excellent documentary, “Audre Lorde—The Berlin Years 1984-1992,” on the life of American feminist scholar and poet Audre Lorde (1934-1992), who allegedly was the inspiration encouraging Black-German women to “call themselves ‘Afro-German’ and to record ‘their-story’.” Like Lorde, who’s life was sadly cut short due to cancer, the film screening was also sadly cut short about a third of the way in due to a defective DVD. Like any excellent conference, the personal interactions can be as fulfilling as the sessions. The BGCSNJ Second Annual Convention was no exception. My Friday and Saturday morning chats at our hotel with Millersville University Professor of German Literature, Leroy T. Hopkins provided me with an insight into the joys and challenges of teaching German literature as a person of color and to students of color. With a declining interest in the German language by students nationwide (largely due to an increased interest in Chinese and Arabic languages), Hopkins is hopeful that Afro-German authors like Köpsell, Popoola and others will publish their works in German to provide more contemporary reading materials for university classrooms. This conference would not have been possible without the dedicated work of BGCSNJ president Rosemarie Peña and her fellow staff. Rosemarie is a woman who found out—through documentation in 1994 that she “wasn’t who she thought she was” and discovered that her biological father was black, possibly an African American soldier, and her mother was white and a German national. On Wednesday, she reported to me by phone that they are planning for the third annual convention next August. If you are the least bit interested in the Afrodeutsche experience, I would highly encourage anyone to make plans to attend next year. Audre Lorde: The Berlin Years 1984 to 1992 is a 79-minute documentary in English and German, directed and produced by Dagmar Schultz. An academic and close friend of Lorde’s, Schultz also co-edited (with May Opitz and Katharina Oguntoye) the book Farbe Bekennen: Frauen auf den Spuren ihrer Geschichte (1986; translated as Showing our Colors: Afro-German Women Speak Out, University of Massachusetts Press, 1991), which marked the beginning of the “Afro-German movement.” Schultz contributed her own archival video and audio recordings and footage to the documentary, adding testimonies from Lorde’s colleagues, students, and friends. 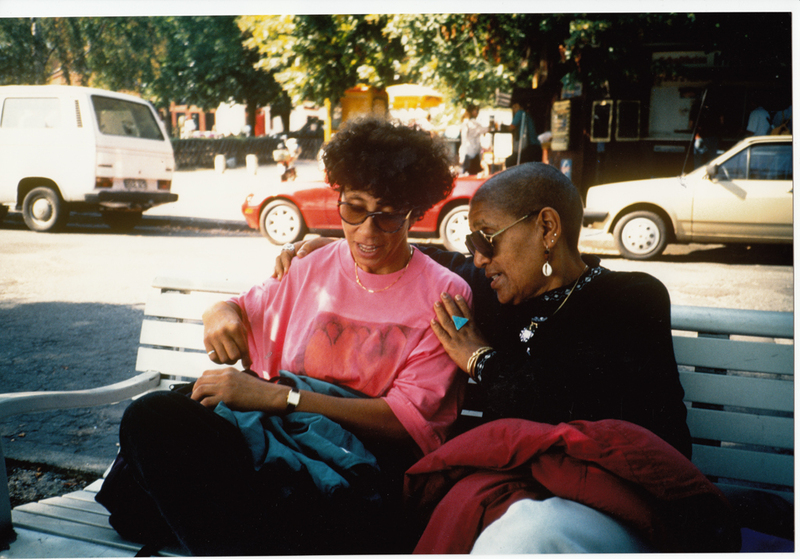 Released in 2012, twenty years after Lorde’s death, Audre Lorde: The Berlin Years 1984 to 1992 is an homage to the African American writer’s tremendous contributions as well as a useful complement to two other documentaries: A Litany for Survival: The Life and Work of Audre Lorde (1995) by Ada Gray Griffin and Michelle Parkerson, and The Edge of Each Other’s Battles: The Vision of Audre Lorde (2002) by Jennifer Abod. Schultz’s film has attracted significant attention and received the Audience Award for Best Documentary at the Barcelona Gay and Lesbian Film Festival. Audre Lorde: The Berlin Years 1984 to 1992 focuses on an understudied period in the life of the prolific author and activist, the time when she traveled between the U.S. and Germany to lecture and visit friends. 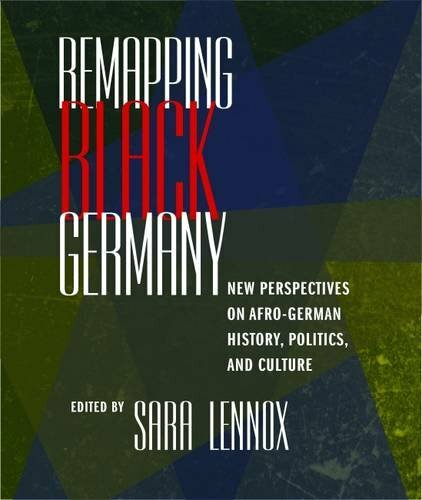 It features her relationship to the black diaspora and her mentoring role in the development of the antiracist struggle and the Afro-German movement before and after the German reunification. In true feminist fashion, the documentary links the personal and the political, representing Lorde’s ongoing fight against cancer, her inspiring presence at feminist consciousness-raising meetings, her carefree dancing at multiracial lesbian parties, and her partnership with the poet Gloria I. Joseph. The film highlights Lorde’s part in building bridges among women of color, feminist, and LGBT social justice movements, in “hyphenating” black Germans. In doing so, it contextualizes the history of major cultural shifts in the late ’80s/early ’90s in Germany. It speaks to audiences both familiar and unfamiliar with Lorde’s work by articulating themes that are at the core of the writer’s production: for instance, the meaning of intimacy and sharing, and the radical role a creative understanding of difference plays in personal and intellectual growth. Although valuable as a testimonial and politically committed film, Audre Lorde: The Berlin Years 1984 to 1992 unfortunately lacks a strong coherent form, its point of view neither sufficiently clear nor technically grounded. Because the filmmaker does not provide a theoretical or narrative perspective (apart from documenting Lorde’s life), the archival images and interviews overtake the film, which in turn seems dated, as if it had been produced twenty years ago. The viewer is not pulled into the story early enough, and the editing does not compensate imaginatively for the somewhat haphazard manner with which the documentary proceeds. “Euer Schweigen schützt Euch nicht” – Ein Aufruf zu Sprache und aktivem Handeln, der dringlicher nicht sein könnte. Wie viele der Appelle, Schriften und Aufrufe Audre Lordes war er prägend für die (internationale) Frauenbewegung und besonders für die Bewegung Schwarzer Frauen. Das rückhaltlose Ausloten von Sexismus, Rassismus, Homophobie und Klasse machen Audre Lorde auch zwanzig Jahre nach ihrem Tod zu einer der einflussreichsten Kämpferinnen für die Rechte Schwarzer Frauen. Der soziale Unterschied war für sie die treibende, kreative Kraft zu handeln und zu verändern. Ihre Essays, Gedichte, Vorträge und Erzählungen sind einschneidend und entschlossen, sie werfen einen schonungslosen Blick auf die Realität und transportieren dabei doch immer auch Hoffnung. Der vorliegende Band ist eine Sammlung von bereits erschienenen und bisher unveröffentlichten Texten Audre Lordes. Ergänzt werden diese durch Texte von Frauen, die gemeinsam mit der Autorin den Weg einer deutschen Schwarzen Frauenbewegung gingen und von Schwarzen Frauen der Nachfolgegenerationen aus Deutschland, die sich mit ihrem Erbe und den aktuellen Kämpfen auseinander setzen. “Your silence will not protect you” – A call to action and active language which could not be more urgent. How many of appeals, writings and views Audre Lorde he was formative for the (international) women’s movement, and particularly for the movement of Black women. The unreserved exploration of sexism, racism, homophobia, and class make Audre Lorde, even twenty years after her death, one of the most influential fighters for the rights of black women. The social difference was to act for them, the driving creative force and change it. Her essays, poems, speeches and narratives are incisive and determined, they throw an unsparing look at the reality, transporting always hope. 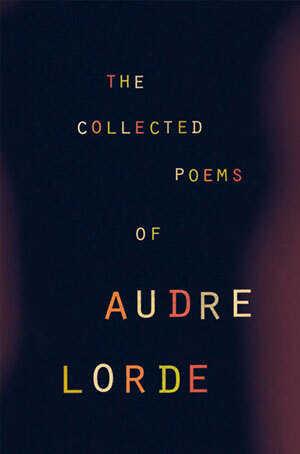 The present volume is a collection of previously published and unpublished texts Audre Lorde. These are complemented by texts by women who went along with the author the way a German black women’s movement and the subsequent generations of black women from Germany who deal with their heritage and the current struggles apart. I first met Audre in 1984, when I was 22. She told me her grandfather had been Scottish, and that I didn’t need to choose between being Scottish and being black. “You can be both. Comments Off on I first met Audre in 1984, when I was 22. She told me her grandfather had been Scottish, and that I didn’t need to choose between being Scottish and being black. “You can be both. As a self-defined Black, lesbian, mother, warrior poet, Audre Lorde is the model representative for intersectionality. As such, Sister Outsider: Essays and Speeches has become a ubiquitous text in undergraduate courses, for the theory and practice of intersectionality; a way to look at what women’s studies scholar Leslie McCall calls “the relationships among multiple dimensions and modalities of social relationships and subject formations.” Put crudely, intersectionality is an idea used to explain the links between positions or configurations of oppression. What’s more, as a Caribbean-American (her parents were born in Barbados and Carriacou), we could say Lorde straddled two worlds—or perhaps none at all. Lorde’s poetry as poetry and not as purely a feminist rubric, however, has been written about far less. In Warrior Poet: A Biography of Audre Lorde, writer and scholar Alexis De Veaux describes the genesis of the poem “Sahara,” published in Lorde’s 1978 book of poems, The Black Unicorn, in a moment while Lorde was on a plane in 1977 that passed over the Sahara desert after making a stop in Madrid to refuel. The poet, flying from New York City, was on her way to Lagos, Nigeria for FESTAC, the Second World African Festival of Arts and Culture. Lorde’s trip to Nigeria is meaningful not simply because the plane ride—the birds-eye view of the vastness of the Sahara—inspired the homonymous poem. By 1977, Nigeria had emerged as what De Veaux calls the “richest black-ruled nation” in Africa because of oil wealth. Bringing together Black activists, academics, writers, artists and spectators, FESTAC acted as a transnational spectacle establishing new political, literary and racial grounds.